Thank you for registering for SCI:COM 2018! We're looking forward to seeing you at the Ballsbridge Hotel on 12th December! SCI:COM 2018 returns in December for another year! This year's theme is Reputation. Enjoy a day of networking, workshops, new ideas, great speakers and fantastic food. 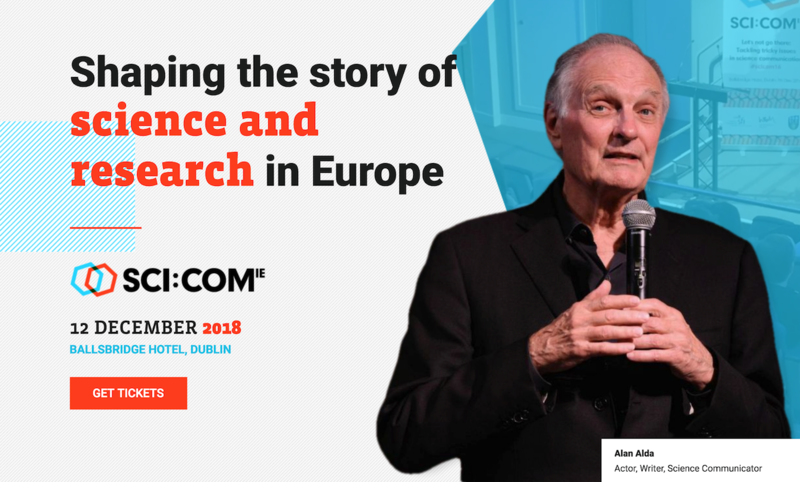 Speakers include Alan Alda, Shaun O'Boyle, Claire O'Connell, Nicola Byrne, Laura Lindenfeld and many others.